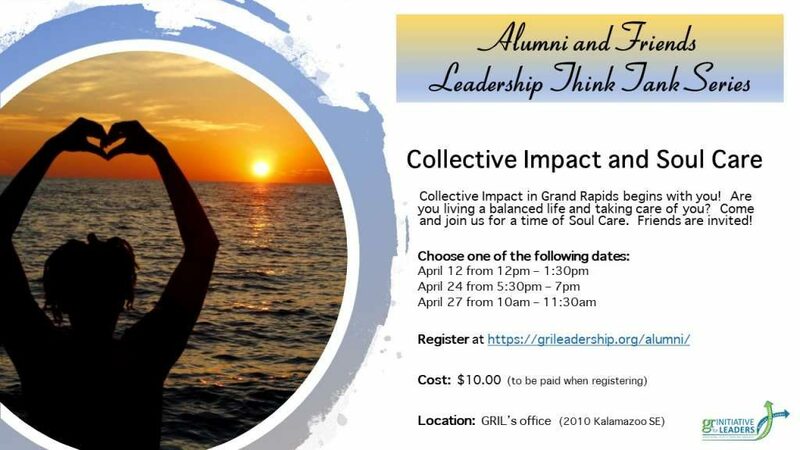 April 24 from 5:30 - 7:00pm: Collective Impact in Grand Rapids begins with you! Are you living a balanced life and taking care of you? Come and join us for a time of Soul Care. Friends are invited! Snacks provided. April 27 from 10 - 11:30am: Collective Impact in Grand Rapids begins with you! Are you living a balanced life and taking care of you? Come and join us for a time of Soul Care. Friends are invited! Snacks provided. As you Submit this form, you will be given a Paypal popup window to pay your total. If you would rather use Cash App to pay for this event, please close out the Paypal window, and submit your Total to: $DeniseGRIL. Thank you!